Yesterday was a lot of fun, wasn’t it? Liverpool beat Manchester United 3-1 in what was maybe our most satisfying performance of the season. A goal from Sadio Mane and a second-half brace from Xherdan Shaqiri sealed the victory, with United’s only positive moment spurning from an Alisson mistake. 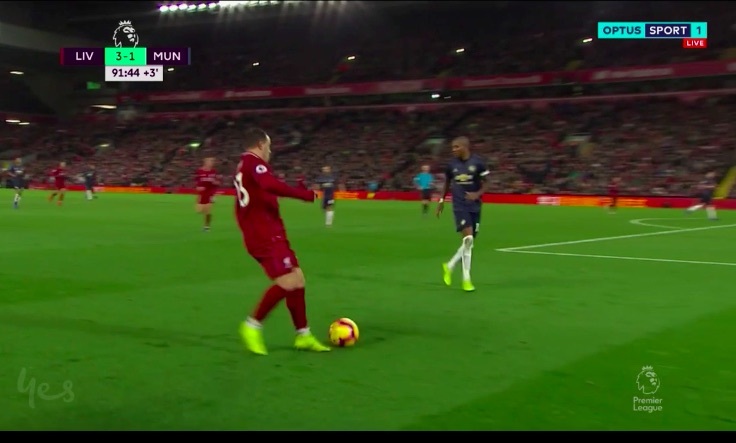 Late on, Liverpool fans on reddit went crazy over Shaq’s ‘elastico’ and Roberto Firmino doing a totally unnecessary no-look pass! YOU CAN WATCH THE MOMENT, HERE! In fairness Shaqiri’s piece of skill was actually very impressive, and could have lead to a chance, but Firmino’s was pure showboating! Both the attackers enjoyed excellent performances at Anfield, with Bobby shining in the no.10 role and our Swiss hero coming off the bench to put United to the sword.